Swarm trapping is another aspect to free bees that entails catching that runaway swarm even when I’m not around and in places I can’t always be. I’ve had my share of experiences where the swarm departed for some unknown destination, and then I’ve wondered about the swarms that come out of bee trees in remote areas where no human being was able to discover them and call me. And what about the swarms that people find but they don’t know who to call? Eventually those swarms will leave for a hollow tree or somebody’s garden shed. How can I get those swarms I don’t even know about? Inside you will find everything that you need to know about keeping bees. Now, before we go on, I must warn you, there will be some bee humor in here. There will be lots of puns too, I mean a lot! So if you do not wish to be entertained while learning, then I would suggest going out and buying a boring book. This book is going to be fun. Now down to business. Why would you want to keep bees? There are many reasons. Bees are dying out around the world, yet they help to produce up to one third of the world’s food. We cannot let them die! 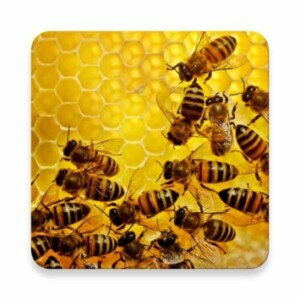 By keeping bees, you are increasing the bee population and saving the world! Pretty cool, right. Another great reason to keep bees is all the free honey that you will have access to. Soon you will be an expert, thanks to this book. That means that you will have honey coming out of your ears (not literally, that would be gross). Bees produce a lot of honey, as if by magic. Do it right and you could end up with a lot of great honey. Now, not only will your honey be raw and organic (the best kinds), but it will also be local. Studies have shown that honey made from the pollen of local flowers can help to ease allergies and other ailments. The great part is, that even if it does nothing to cure or help any of those, you still have a great tasting sugar substitute. You will also be able to smell the sweet aroma of honey wafting from your backyard (or wherever your beehive is) into your house. On a warm summer’s day, this will be bliss. It will not only be our sense of smell which is tickled, our other senses will benefit too. Bees are friendly creatures and if you do not harm them then they will not harm you. It is a pleasure to see bees buzzing through your yard. Going from flower to flower and then back to the hive. The noise too. The gentle buzz of the honeybee brings any garden alive. While we are talking about bringing your garden alive, we should talk about your garden being brought alive, literally. Bees will increase the pollination of your yard and the surrounding areas. If you grow fruits or vegetables then you will experience greater yields. If you have flowers, then those flowers will bloom like never before. Is there nothing that bees cannot do? Well, use doors thankfully. We like bees, but we do not want them all moving in to our house. There are much more benefits that we could talk about, but for now, I will leave you with one thought planted in your mind. The honey that you harvest from your own bees will be the best honey that you have ever tasted in your life. Check your Timeline - contains all beehive reports, to do actions, pastoral trips, harvests, treatments and veterinary checks ordered descending by date. 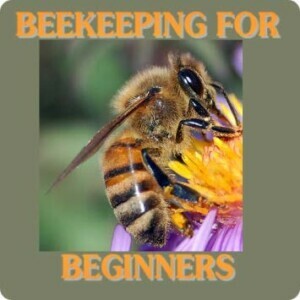 Do You Know of Any Free Beekeeping Resources? Why not share it with us here, we would love to post your information!